THE UNITED NATIONS, October 17. /TASS/. 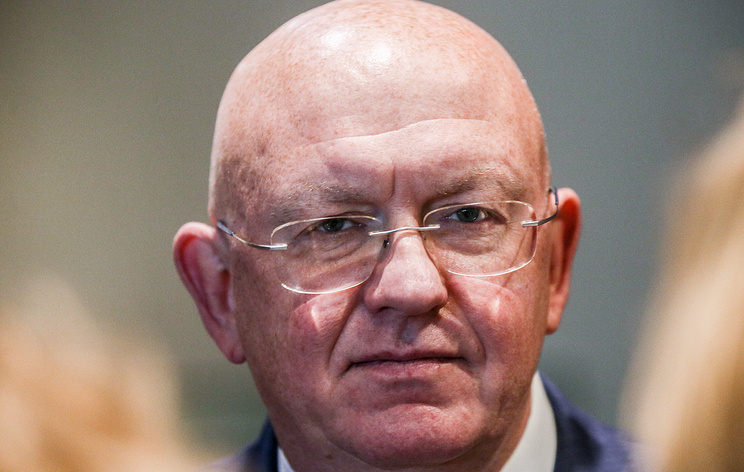 Russia's Permanent Representative to the United Nations Vasily Nebenzya has asked those countries that artificially impose the timeframe for setting up Syria's constitutional committee to have patience. 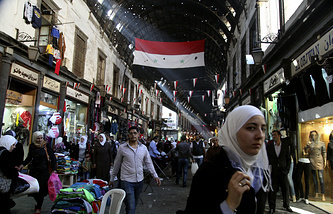 "Just like all other partners, we want the committee to be formed as soon as possible," Nebenzya told a United Nations Security Council (UNSC) session on Syria on Wednesday. "The deadline is set up artificially, but chasing after it is counter-productive in this case," he noted. Nebenzya addressed his UNSC colleagues with a question of why "deadlines are not being set for settlement of other crises - in Palestine and Israel, in Libya, Yemen." "Let's also demand setting up a deadline for these cases, without taking into account the interests of the sides [in those conflicts] and the current situation," the diplomat said. A trustworthy process requires agreement from all sides, and "this takes time, so patience is needed here," he added. Earlier on Wednesday, US Deputy Permanent Representative to the United Nations Jonathan Cohen told the UNSC session that Washington supports an urgent convention of the committee on developing the new Syrian consitution. Cohen said that setting up the constitutional committee in November is not hasty or untimely. He added that a unique opportunity for political settlement has emerged now, and any delays may have unfavorable consequences. The decision to set up a constitutional committee tasked with developing recommendations for amending Syria's constitution was made at the Syrian National Dialogue Congress held on January 30 in Sochi. On September 29, the "small group" on Syria (UK, Germany, Jordan, Saudi Arabia, US and France) led by the United States has asked UN special envoy on Syria Staffan de Mistura to facilitate a session of the consitutional committee in Geneva and report to UNSC on progress no later than on October 31. Damascus and Moscow have spoken against the attempts of Western countries to set up artificial deadlines for estblishing the committee.